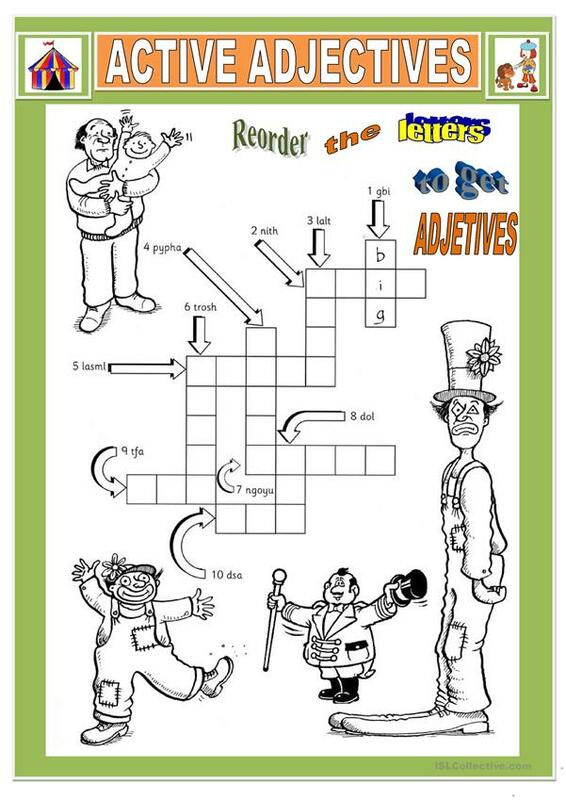 A crossword with scrumbled letters. hope you enjoy it! This printable, downloadable handout is best suited for elementary school students at Beginner (pre-A1) and Elementary (A1) level. It is aimed at teaching Adjectives in English, and was designed for enhancing your students' Spelling, Speaking and Writing skills. It focuses on the topic and words of Actions.